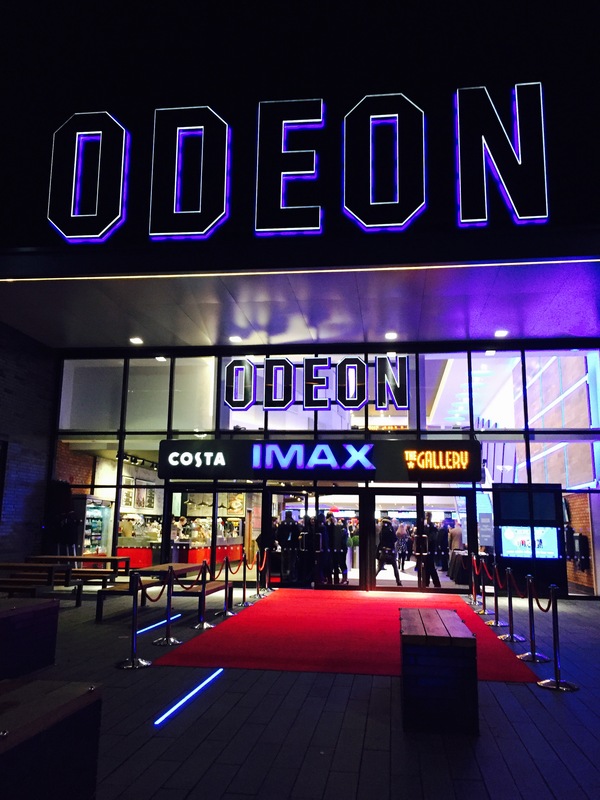 Tonight, I was lucky enough to attend the opening of the brand new state-of-the-art 11 screen ODEON multiplex cinema in Milton Keynes including a custom designed IMAX. It is situated at the Milton Keynes Stadium MK1 Shopping & Leisure Park, nestled between the new strip of restaurants that also recently opened. The night was opened by the Managing Director of Odeon UK and Ireland, Duncan Reynolds and the general manager of the cinema Stephen Shaw. In addition to the normal champagne and cinema food style canapés, a few well known companies had pop up stands for guests to enjoy. Including Pepsi who would take your photo and print it onto your very own Pepsi MAX bottle to take away as a souvenir. Magnum ice cream also was there offering guests to design their own Magnum from scratch. 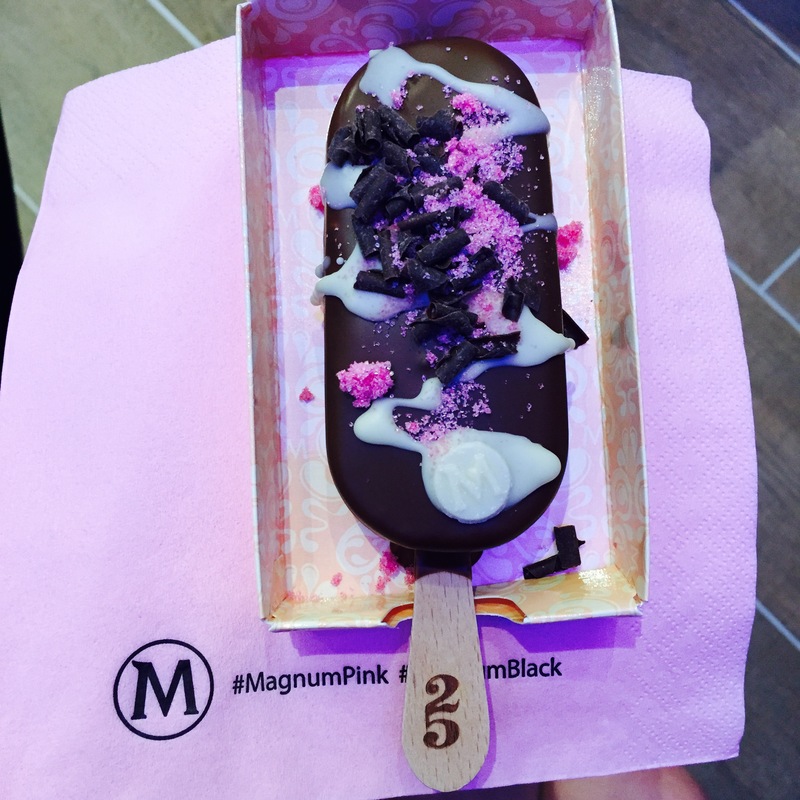 Mine was dipped in Magnum milk chocolate, drizzled with white chocolate and decorated with dark chocolate curls and raspberry sherbet. Amazing! The main event was being the very first people to take a seat infront of the IMAX screen and the only people in the UK to watch the latest episodes from Game Of Thrones. ‘The Watchers on the Wall’ and season four finale ‘The Children’ on IMAX. 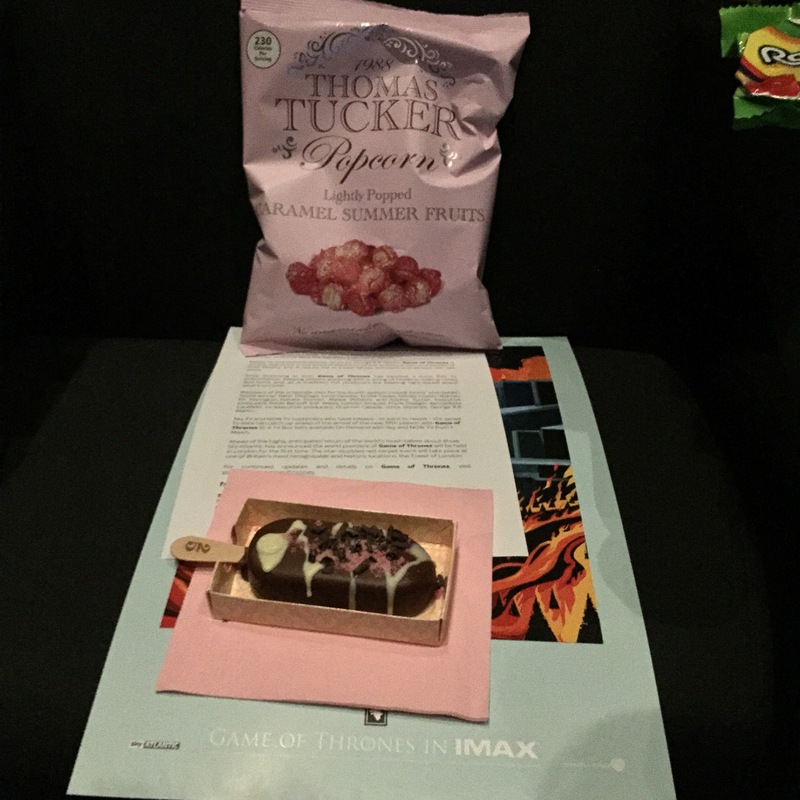 On each of our seats was an exclusive Game Of Thrones poster, popcorn, chocolate, sweets and drinks. I have to admit, I couldn’t even think about eating or drinking. The battle at Castle Black on such a platform was jaw dropping and I am now anxiously waiting to watch Season Five which starts on Sky Atlantic on Monday 13th April. Many people are quite sad in Milton Keynes thinking about cinemas today as, in line with this opening the ODEON at The Point multiplex in Central Milton Keynes closed it’s doors for the last time and will open the path for redevelopement. 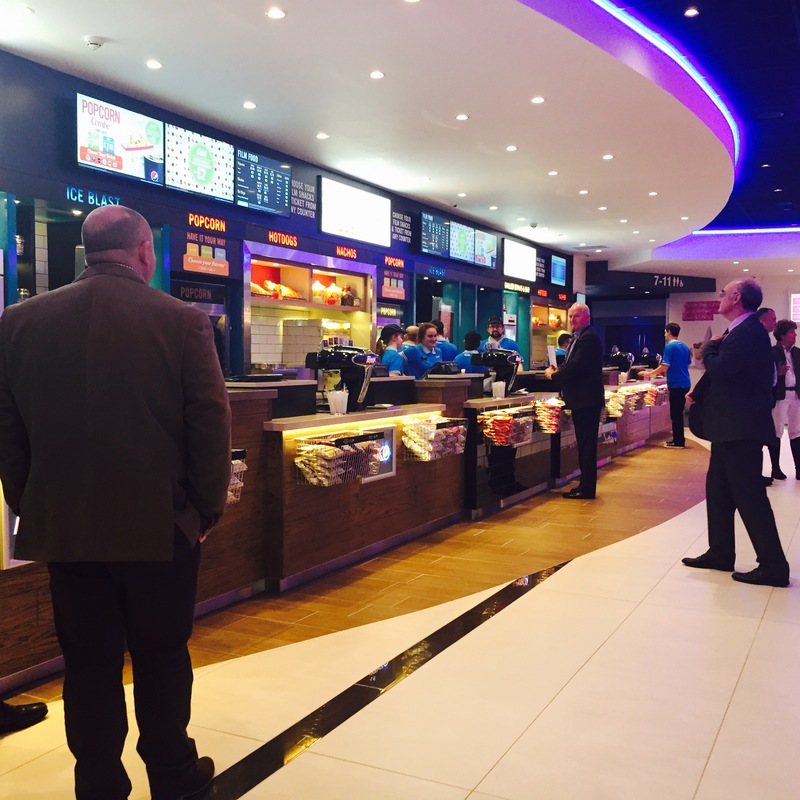 However, whatever you may think about that, this new cinema, which is out of the hustle of CMK and without the traffic and parking charges is going to be a welcome addition to what entertainment and leisure is on offer in MK.